Available to buy online today, celebrating UK Music Awards Worldwide. 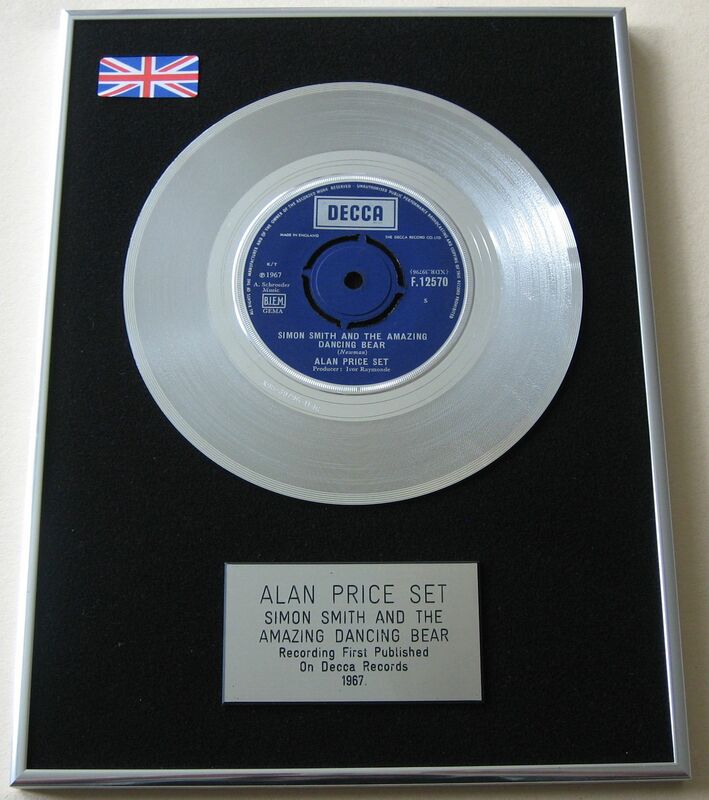 A stunning Platinum Single Presentation Disc to compliment any room. Platinum 7'' Single Presentation Disc with the genuine Vinyl. Mounted on a Black loop nylon backing with an engraved polished silver bevelled edged plaque. Framed in a Polished Silver Aluminium frame. This Presentation Disc is a product completely designed and manufactured by musicdezigns.co.uk having been established and working for over 20 years producing Gold, Silver and Platinum Disc Presentation Awards, supplying the Music Industry, Trade and Fans with unique designs and high quality framed memorabilia. Our products are made to the highest standards and professionally manufactured using the best possible materials.